When we look back on these times I think we will notice a big drop in the world of prints. Everything sits on hard drives–destined to disappear. 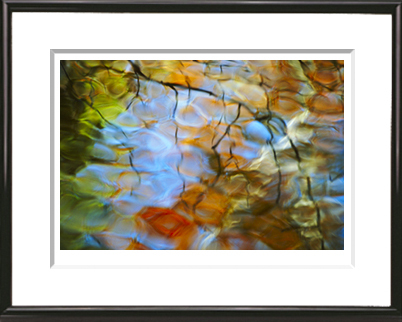 I think a photographic print is the ultimate expression of an image. Bringing our work into the world in the form of a print or a book gives our experiences and ideas life. Consider making and sending a small postcard print to a friend. I print my color photographic images in two sizes: 14X20 inch prints on 17X22 inch paper in editions of 25, and 35X52 inch prints on 40X60 inch paper in editions of 7. I created a limited collection of hand-pulled photogravures, sized approximately 7X5 inches on 20X16 inch paper. Please write for more information. 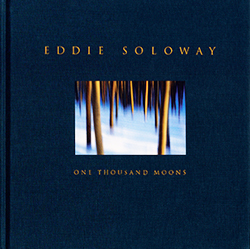 Please inquire about availability and pricing to info@eddiesoloway.com. One Thousand Moons is $45 plus $5 for shipping within the United States. Enter 2017 in the coupon box to receive 25% off through December 31. Orders from other countries will be contacted with shipment options. Click here to purchase the book with no shipping fees, an incentive for Amazon Prime members to order from Eddie. © 2019 Eddie Soloway Photography.